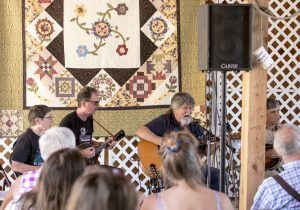 Stop by the Ely Stage Stop & Country Museum on Sunday, July 3, to celebrate America’s Independence with some toe-tapping Americana music. Musicians will play in the Ely barn from noon until 2 p.m. Attendees will be treated to “old timey” tunes and sing-a-longs with the musicians likely adding some patriotic ditties for this special weekend. Bring the whole family to this free event. Come early and enjoy the latest exhibits in the house and on the grounds. Take a hayride or stroll the new barn trail. See our new permanent outdoor stage first used for the June 11 Blues Benefit #2 produced by Spotlight On Productions. The Benefit raised funds for Hope City, aka Hope Crisis Response Network (HCRN), a member of Team Lake County, to rebuild homes lost in the Valley Fire. The Mendocino College Construction Fundamentals Class, taught by Lake County contractor Glenn Mueller, built the stage as one of their class projects. Come check out their beautiful work. Watch for announcements of future outdoor events to be held on the stage. Donations made during the jam benefit both the Ely Stage Stop, helping to fund the construction of the blacksmith shop, and the Old Time Fiddlers Association District 10, who uses it to partially fund their scholarship programs. Musicians at the June Fiddlers’ Jam enjoying a sing-a-long with the crowd. The quilt displayed as a back-drop will be raffled off later in the year. Raffle tickets will be available at Sunday’s Jam. Photo by Greg Blinn. The popular Living History Day series continues at the Ely Stage Stop & Country Museum on Saturday, June 25. On the fourth Saturday of each month local historians come to the main house to visit with guests and answer questions regarding different aspects of Lake County history. As these visits are recorded, the stories of Lake County’s history are being preserved for future generations. This month Dr. Harry Lyons, Yuba College Biology Professor, will join Ely guests for Living History Day. Dr. Lyons will weave the stories of two nutrient-rich aquatic ecosystems, the Hudson River and Clear Lake, addressing the problems and promises of such rich biological communities. Although differing in their geological and hydrologic histories, the two systems face similar problems with over-enrichment and point-source contamination. Most feel the biological condition of the Hudson has improved; some feel the biological condition of Clear Lake has not. 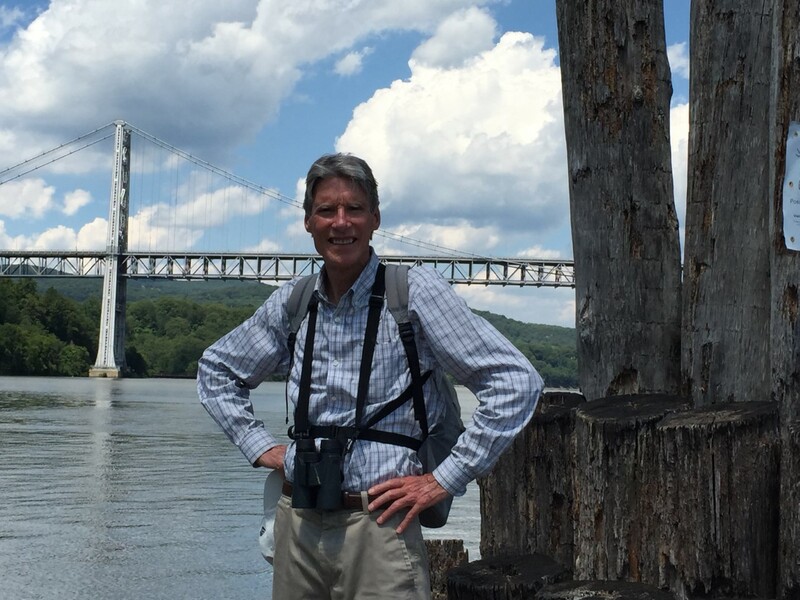 Dr. Lyons’s talk will address the questions – Can the political action taken on behalf of the Hudson River serve as a model for pushing improvement of water quality in Clear Lake? How is the chance of success through political action dependent on the type of pollution and its causes? Dr. Lyons grew up swimming and fishing in the Hudson River. His life-long interest in water led him to pursue his PhD in oceanography from the Scripps Institution of the University of California after academic work at Rutgers and Stanford. He has lived by, sampled from, and swum in Clear Lake for over thirty-five years. His talks are always peppered with the spirit of relevant songs. His presentation will begin at noon. Dr. Harry Lyons by the Hudson River. Come hear his presentation “Lessons from Green Water” at noon on Saturday, 6/25, for the Ely Stage Stop’s Living History Day. Contributed photo.